Anyone that follows my exhibition work knows that I am a firm believer and supporter of printing work, and supporting exhibitions that promote print, and this includes home county International Photography Exhibitions that have a print entry. One of the home county exhibitions is the Yorkshire International Photography Exhibition, organised by the Yorkshire Photographic Union, and is open to entry from professional and amateur photographers worldwide. In 2014 I was awarded the best author award of the FIAP Blue Badge, from a worldwide entry from 771 authors, entering 6,400 images. 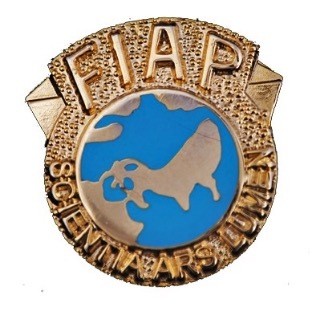 In 2015 I was again awarded the fIAP Blue Badge for the best author award, from a worldwide entry from 534 authors, entering 5,167 images. Incredibly, in 2016, I have once again, for the 3rd year running, been awarded the best author award and the fIAP Blue Badge from an entry of 516 authors, entering 5,156 images. To say I feel honoured and privileged to be just a part of the exhibition, let alone to take the best author award for the last three years is an understatement, and the organisers at the YPU deserve much credit for organising and facilitating the running of the exhibition. The Exhibition had 6 sections, Open Colour Print, Monochrome Print, Landscape Print, Open PDI, Nature PDI and Travel PDI. And I think they did a great job! Total exhibition statistics, worldwide entries from 516 authors entering 5,156 images, eligible to professional and amateur photographers. I was once again, extremely proud to have had 18 images accepted into the exhibition, with 3 of those winning individual international awards. My personal tally of best author awards in international photography exhibitions and FIAP Blue Badges now stands at 12!